IMPORTANT NOTE: This product sells/ships to United States customers only. No international sales/shipments. 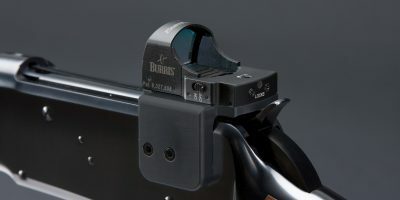 Winchester Model 1894/1892 Barrel Mount For Burris FastFire Red Dot Sight. Works with FastFire I, II or III optics, as well as with Docter sights. 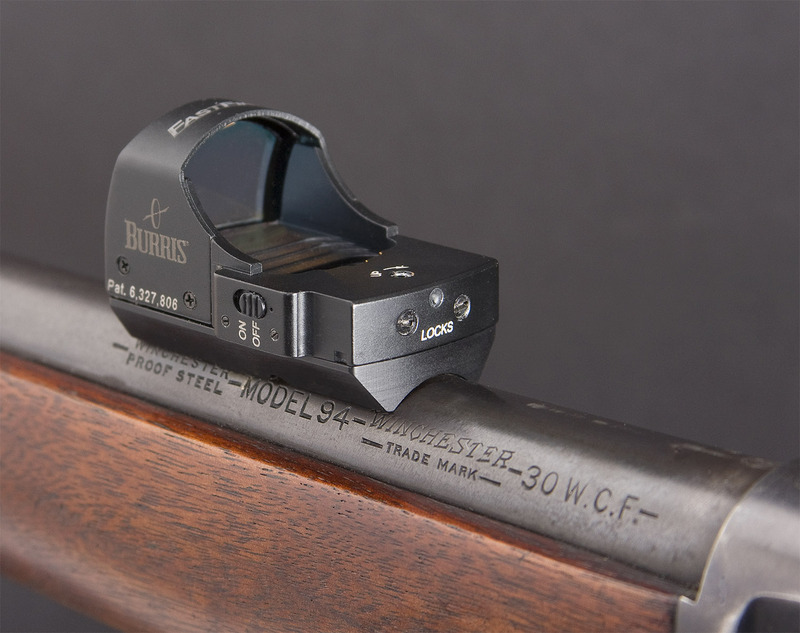 The barrel mount is designed for use on the Winchester Model 1892 & Model 1894 fit with round barrels. The mount will work with both rifles and carbine barrels. The barrel mount is secured in place using a specially designed plate that is installed in place of the rear sight. Simply remove the rear sight, install the mounting plate and secure the sight mount to the plate. 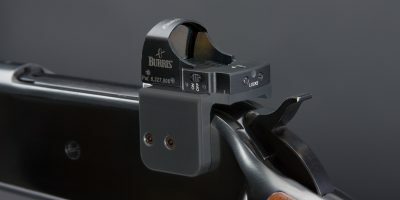 The entire mount and sight can be installed with only a few simple tools and requires absolutely no drilling or taping of the barrel. Order now using our shopping cart; standard ground shipping fees are included. Need to receive it faster? Contact us to place your order. This mount is beautifully machined, integrates seamlessly, mounts the red dot as low as possible, installs easily, and, in general, is a first class piece of work. I mounted a Vortex Venom on a Marlin 1894 with this mount. Excellent design and well worth the money. Thanks for the feedback Rick! Glad to know it worked out well for you.